I mean, just LOOK at those animations. 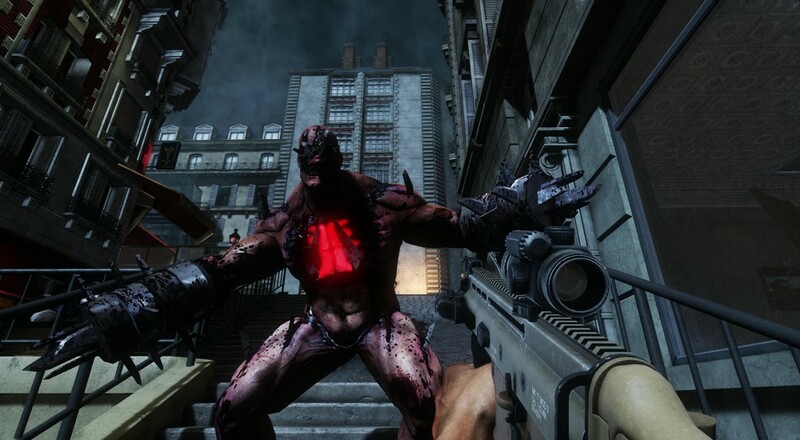 We've already established a couple solid facts about Killing Floor 2's development team at Tripwire Interactive. First off, they love guns. As in, everything about them. The way they look, the way they feel, the way they sound, and the way they mutilate endless hordes of that-which-should-be-dead. Second, those folks love a good blast beat. I'm fairly certain that if someone emailed them a clip of Winston Churchill's "We shall fight them on the beaches" speech played over a Helloween instrumental, the company would fold the next day on the grounds that "entertainment is done". With the latest dev diary, they're here to further explain how the things they're passionate about are playing into the development of Killing Floor 2. Come to think of it, it's probably a good thing Tripwire can channel their obsessions through their own IP, although I would absolutely love to see the nuance and subtleties they would bring to the Dora the Explorer franchise. I'll be perfectly honest right now, I need to see more footage of those high-framerate weapon animations. I suppose now is also a good time to mention one of the greatest shames of my gaming career: I never actually leveled any of the original Killing Floor's perks to maximum. I know, I know, cor-blimey and such. If I couldn't do something that the developers are saying should've taken a month, I can't imagine how long it would take to get through all twenty five levels in the sequel. It's looking like we'll find have to find out later this year when Killing Floor 2 drops onto PC and Playstation 4 later this year.